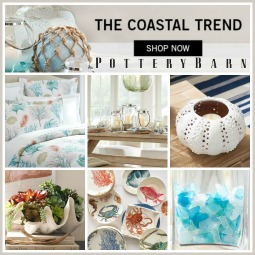 Get inspired by French style sea decor with a worldly flair. 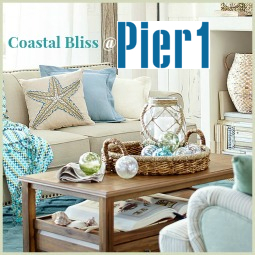 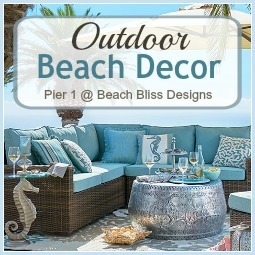 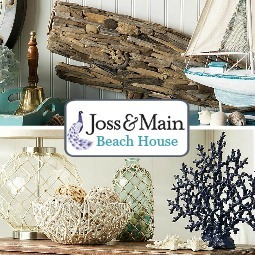 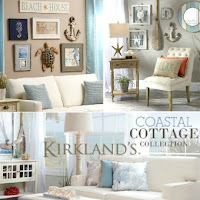 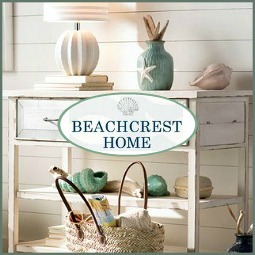 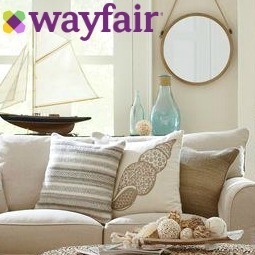 Simple wood furnishings in white and colors of the sea, along with driftwood accessories, wicker and other rustic elements. 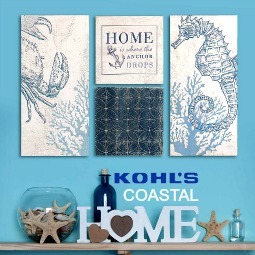 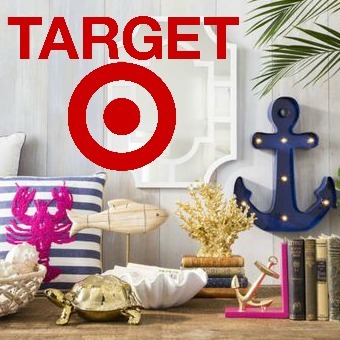 Maison du Monde's sea decor style is natural, sea washed and colorful. 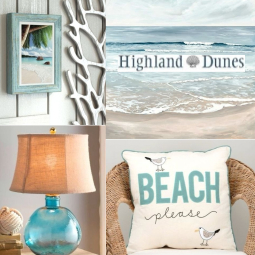 The French online store takes the inspiration from the Mediterranean, the Normandie region on the Atlantic side, as well as the Pacific. 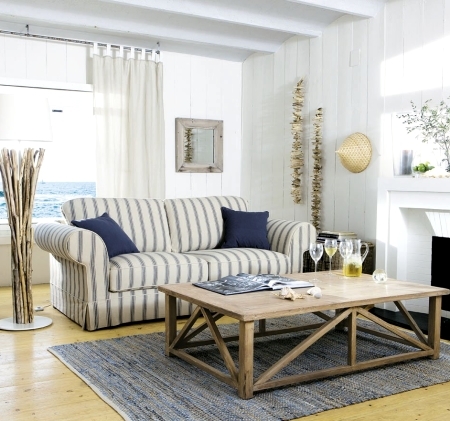 This dining room feels very Mediterranean. 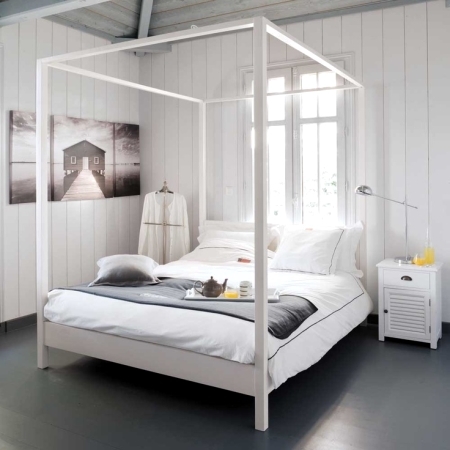 The high contrast of white and bright blue is energetic and soothing at the same time. 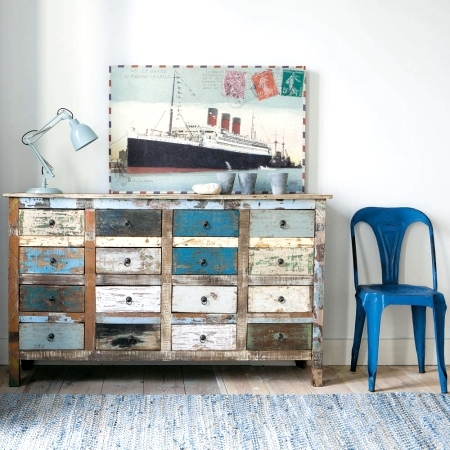 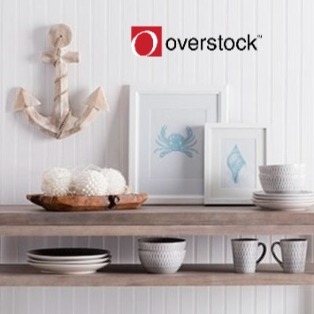 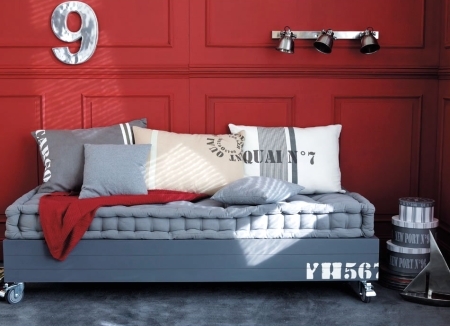 Their multi colored Distressed Wood Furnishings are great inspirational pieces for makeovers. 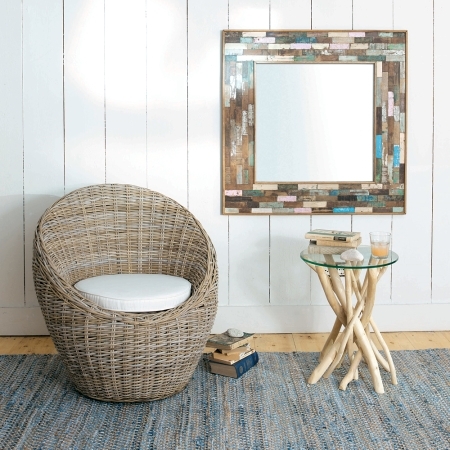 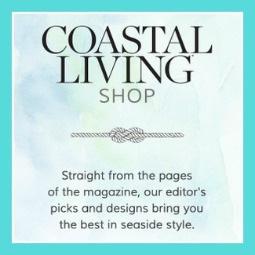 Nothing says sea and coastal like a great Wicker chair. 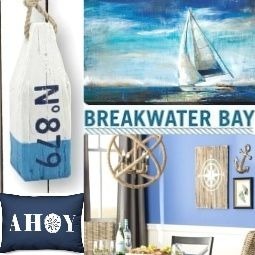 A fun nautical grey cargo ship look. 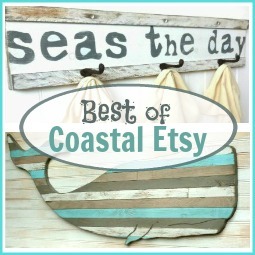 The Long Pieces of Driftwood are wearing cozy sweaters. 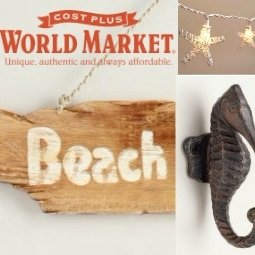 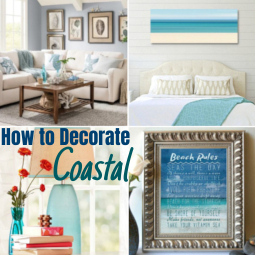 A Driftwood theme immediately puts your mind at the beach. 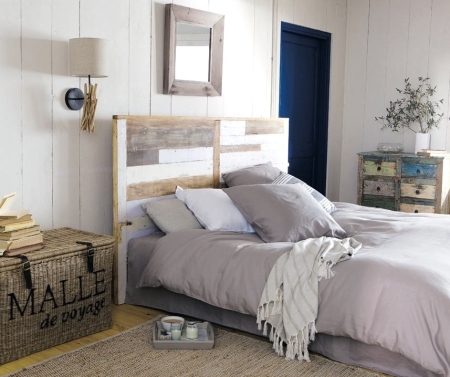 The large Wicker Trunk is fabulous, and the small driftwood wall sconce is inspirational. 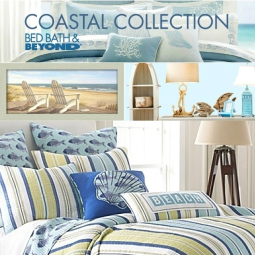 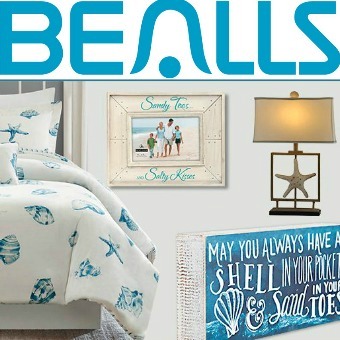 A simple white Poster Bed and coastal art makes the bedroom. 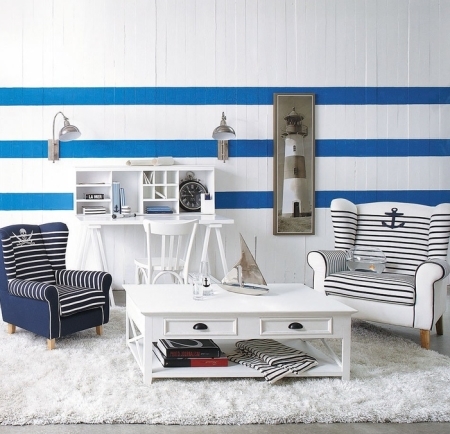 For more sea decor French style, head over to Maison Du Monde.